Derbyphotos.co.uk- THE website for the City of Derby, Derbyshire, England - Photographs & History - Your complete photographic guide to everything in Derby and Derbyshire. Hundreds of photos, historical data, Places to visit. 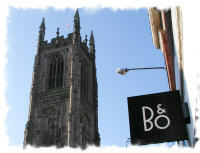 Promoting Derby and Derbyshire for over 18 years. As recommended by just about everyone who loves Derby and Derbyshire. Past, present and future, www.derbyphotos.co.uk is for YOU. Some local History books that feature my photographs ! Your independent local guide to Derby and Derbyshire by Andy Savage. and the Midlands including lots of Historical data. Derby Casino Genting Club at Riverlights. 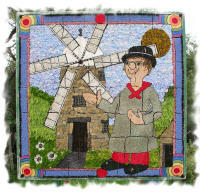 Derbyshire villages, towns, hamlets and parishes. on the web. 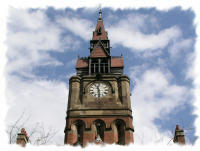 If you want to discover what Derby has to offer then you have come to the right site. Here you can see large photographs, 360° Panoramic photographs, immersive interactive panoramic photographs, Night time photographs, Old photographs, Learn about the history of Derby, The Derby canal, See special annual events, try a Derby photo quiz, send an e-card, find out about Derby Ghost walks Download the free Derby screensaver, Use the Derbyforums & Message board to locate Ex-pats, advertise local events, Share your memories of Derby etc etc. Derby and Derbyshire which I have taken since 2001. Includes lots of local videos of Derby and Derbyshire too. One of my videos from the 2016 Ashbourne Shrovetide Football game. 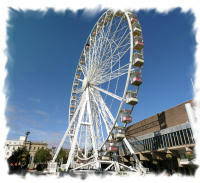 Welcome to www.derbyphotos.co.uk, the website dedicated to showcasing Derby and Derbyshire. On this website you will be able to feast your eyes on the largest collection of photographs of Derby and Derbyshire on the Internet. As you start to look around the many pages available here, you will discover that not only are there hundreds of high quality photographs to view but there is also a mountain of historical information for you to digest. Theres a huge range of ideas for places for you to visit not just in the City of Derby but in Derbyshire and the Midlands. As well as being able to view traditional photographs there are also very wide-angle (up to 360°) panoramic photographs, which allow you to see areas as though you were actually there. 360 by 180 degree Virtual Reality photogaphy, have a look at my World Wide Panorama photographs which feature Derby and Derbyshire. Night photography, which shows how different things look with out daylight, this is a side which you may take for granted. Then & Now photography, which is a unique way of being able to see how things change over time. Then there is an ever-growing selection of old photographs of Derby showing how the local area used to look. This is a non-commercial site built and maintained by local photographer Andy Savage. I was born in Derby, Derbyshire, England and although I may not be that old I have witnessed a lot of changes to Derby over the years. By using my photographic skills, Website design experience and a lot of research I have created what I think you will agree is a very informative website about my city. It features exclusive information and photographs that you will not find anywhere else. The photographs you will see are all taken using a digital camera (unless otherwise specified). Most of the images are larger than you will see on most websites yet they still load in very quickly. At the end of the day this site is for the normal 56K modem user, if you are lucky enough to have an ADSL/Cable connection then you may like to view my Broadband Enhanced section which has been designed for people with Broadband Internet connections. If you have any information relating to any of the pages on this site which you feel others may like to read then please let me know, I can never know each village in as much detail as the people that live in them. So every piece of local knowledge will help to make this a better website. Please get in touch using the 'Feedback' option on the left side of this page. To view any of the areas on this main index simply move your mouse pointer over a title down the left side of this page and click on it. This will open up a window to that page. Use your Browsers BACK button to get back to this main index page or the Index button which you will find at the bottom of every page on this website. On all of the sub pages you will see thumbnail images of the area, To view a large full screen version of any simply click on the image. This will make a new full screen viewing window open up, into which will the large photo will load. This viewing window will remain on screen for 1 minute and close automatically. If you wish to close the window before this then just click anywhere on the photo of using the X button as with a usual window. Derby is the only city in England to be given its name by the Danes. If it weren't for the Vikings invading in AD873 the name would have been Northworthy . Northworthy was captured by the Vikings to become part of Danelaw and renamed Deoraby, or place of the deer to signify the great deer-herds that roamed the Derwent valley. This is why the Derby crest is a buck-in-the-park, This crest can be seen all over the buildings of Derby. The Saxons recaptured Deoraby in AD917 but the Danish name remained. No one knows for sure when or why the name changed to Derby (Pronounced 'Dar-bee'). For those people that do not know Derby's location, You will find a Location maps link on the left side of this page. Unfortunately a lot of Derby's history has been lost forever but a wide variety of it remains for us to enjoy today. This website will allow you to see the many wonderful architectural achievements which Derby has on show. This Derby website is by no means a substitute for getting out of your chair and going to have a look at these places for your self, but if you would like to spend some time here then it will be time well spent. The historical information detailed here is drawn from either my own knowledge or collected from varying sources such as information plaques, leaflets, books and videos. This website is primarily aimed at three different categories of people, firstly those people in other countries that wish to see what England is like. Secondly for people that used to live in Derbyshire but have now moved to another area of England or another country completely. And finally for those people in Derby that like to see areas they might not have been before or may not even know about and to let you know historical information about the places and buildings. Derby has changed considerably in the last few years, So if it has been some time since you visited or perhaps you now live in another country I recommend you have a look at my photographs. On this site you will be able to look at the photographs I have taken while out and about in Derbyshire, Staffordshire, Nottinghamshire and Leicestershire. Because I was born and raised in Derby most of the photographs and historical information will be focused on Derby but the other areas are still worth featuring. All photographs and content on this website are copyright 2001-2018 Andy Savage. Friends of the Cromford Canal, Peakleisure, UK Destinations, Britain Express plus over 70 local websites. South Derbyshire Heritage News magazine April 2003, Derby Evening Telegraph, Derby trader.